Unfortunately, being injured on the job is always a possibility. It’s important to understand the help Worker’s Compensation provides you if the worst happens. Worker’s Compensation covers injuries that occur due to an accident or physical damage caused by repeated exposure to a unhealthy environment. When injured, there are many resources provided to help you recover and return to the work force. Worker’s Compensation aids with medical bills, physical therapy, visiting nurses and medical supplies. You may also be eligible for non-medical assistance from a Home Care Agency to help with transportation to doctor’s appointments, bathing, after surgery care, housecleaning and other daily chores. Another type of situation you could be injured is due to repeated exposures at work. 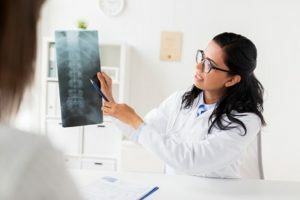 #1 If you suffer a severe spinal injury due to a fall, you may be confined to a wheelchair, require surgery and be unable to drive or shower yourself. Worker’s Comp would help with medical bills, provide the wheelchair, physical therapy and visiting nurses. You could also receive daily assistance from a caregiver to take care of shopping, cooking, cleaning, laundry and your personal hygiene. #2 If you have a crush injury to your arm and shoulder you would be dealing with multiple surgeries, pain, restricted mobility and limits on caring for yourself. Worker’s Comp ensures you receive the medical care you need and can provide a caregiver to assist you in your home during recovery. An experienced Home Care Agency will have caregivers knowledgeable with after surgery care who work in tandem with your medical team to speed your recovery. 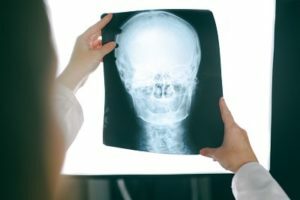 #3 In the event of an accident resulting in brain trauma, you could need surgery, physical therapy and suffer long term memory or brain impairment. Worker’s Comp would provide peace of mind for you and your family by providing the medical care and therapy you need and you could have a personal care attendant from a home care agency assist you with bathing, dressing, after surgery and memory care. You must report the injury to your employer by telling your supervisor immediately. If your injury or illness developed over time, report it as soon as you learn or believe it was caused by your job. If you fail to report the injury promptly, there can be problems and delays in receiving benefits, including needed medical care. In fact, your employer must learn about your injury within 30 days and fully investigate the injury and how you were injured. 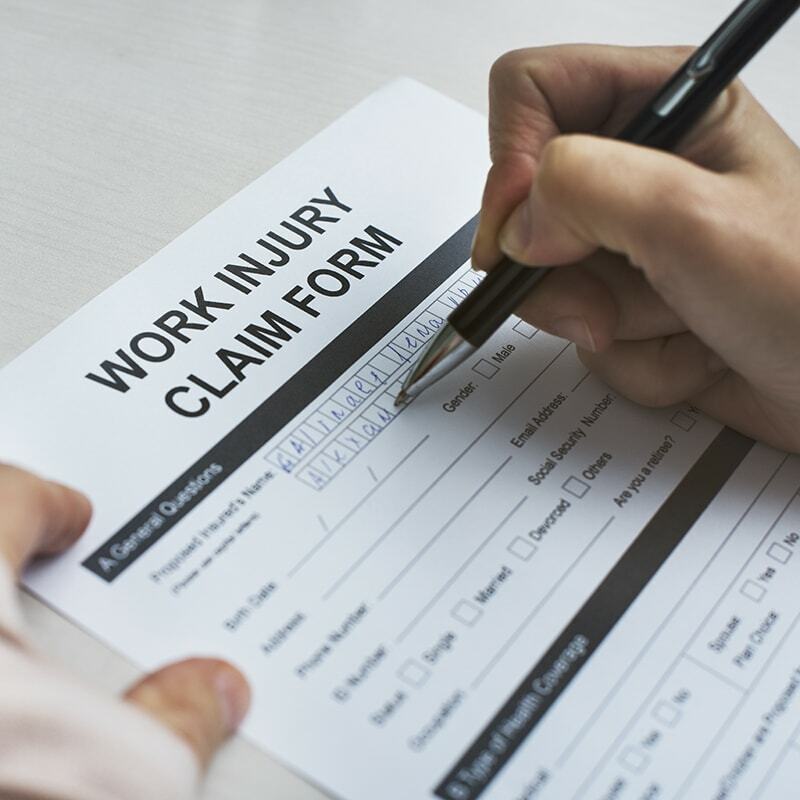 You could lose your right to receive workers compensation benefits if your employer isn’t able to review the situation and your claim because you delayed in reporting it. Do not refuse the medical help you need when you’re injured. Your employer may tell you where to go for treatment but he can’t tell you not to get emergency treatment. Tell the health care provider or emergency room who treats you that your injury or illness is job-related. Yes. Your employer must give or mail you a claim form within one working day after learning about your injury or illness. You can also download the form from the forms page of the DWC website if your employer doesn’t give you the claim form. Giving the completed form to your employer starts the process for finding all benefits you may qualify for under state law. You can authorize Medical Facilities like Skilled Nursing Facilities, Convalescent Homes and Assisted Living Homes to bill your insurance directly. Most home care agencies will bill the client directly on a monthly basis then submit all necessary forms to the insurance company. The client is then reimbursed by the insurance company. Every insurance company will have certain requirements, forms and information that the Care Provider must submit correctly and on schedule or the client’s reimbursement will be delayed. This will include the Care Plan, Case Notes, Invoices and other documentation. Your local I&A officers (Information and Assistance Officers) are a great resource and their services are free. They are not there to act on your behalf as an attorney would, but will provide the information you need to best help yourself. Local DWC district offices offer free seminars for injured workers, providing full explanation of workers’ comp benefits, your rights and responsibilities. You can also make an appointment with an I&A officer for a private consultation at your convenience. You can also go to the I&A page of the DWC’s website and review the fact sheets and guides for injured workers. This will provide answers to frequently asked questions about your benefits and will help you fill out forms to resolve any problem with your claim. When you’re recovering from an injury or surgical procedure, your doctor will arrange visiting nurses to assist with wound care, bathing, monitoring your healing process and other minor medical concerns. But there are many tasks you may need help with that she isn’t able to do. A visiting nurse is there to provide in home medical assistance and is responsible for many patients per day. She can’t provide help with house hold chores, laundry, shopping or preparing meals. Nor can she drive you to doctor’s appointments. There is help available through Non-Medical Home Care Agencies. 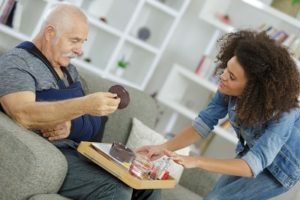 These agencies provide caregivers, nurse aides, home health aides or personal care attendants to help you with those everyday tasks that your injuries and pain prevent you from doing. A-1 Home Care Agency is State licensed, bonded and insured with care providers experienced in After Surgery Care. We have been helping injured, ill and senior residents of Los Angeles, Orange County and San Gabriel Valley since 1991. If you are receiving Workers Compensation Benefits, ask your lawyer or representative if you can use our home care services during your recovery.